Wasp Control Vancouver - The Bee and Wasp Removal Experts! 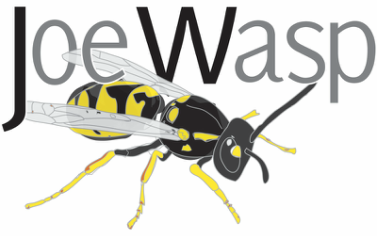 Joe Wasp specializes in the removal of wasp and hornet nests in the Greater Vancouver area. We do our best to offer an earth friendly alternative to pest control. Our dependable methods of wasp and hornet removal guarantee your satisfaction and allow us to offer you great prices. In many instances Joe Wasp can use little or no insecticides at all, yet our methods of removal are just as effective as other, more toxic, methods of wasp and hornet removal. In these instances, wasps and hornet nests are collected rather than simply exterminated, and nests are physically removed. We provide Metro Vancouver wasp and hornet nest removal in Vancouver, Burnaby, North Vancouver, West Vancouver, Richmond, Coquitlam, Port Coquitlam, Port Moody, New Westminster, North Delta, Surrey, and White Rock B.C. If you need assistance with wasps in an area that we don't currently service, please get in touch and we can refer you to another qualified pest control professional. Same day appointments possible. Removals are guaranteed. Call the Vancouver wasp control and hornet experts today! What a snowy, then rainy, off-season we've had here on the West Coast! The deciduous trees waited patiently this year to grow their baby leaves. The cherries have been looking beautiful and the magnolias are just starting to bloom. And so... bumblebee queens and wasp queens have awoken and are making their rounds, searching for potential nesting sites or nurturing the few eggs that they have laid thus far. ​Let us know if you need assistance. Honeybees will also be swarming soon. We're still shut down for the off-season. Well, a new season is just around the corner and we're excited to get started on another year of wasp and bee removals. It's looking like it will be another warm summer here in the Lower Mainland, so we're revving up to have another busy and productive year. Well... We've had some crazy weather of late in the Lower Mainland. Summer last year was the best that I can remember and spring 2015 seemed to start in February, with the cherry blossoms, the crocuses and the magnolias all blooming early. With flowers comes bees (...and wasps). So far this month I've seen bumblebee queens searching for nesting sites, and honeybees flying again. Pretty soon we will begin to see giant wasps (queens) meandering about, inspecting potential nesting sites and visiting flowers for that crucial life- sustaining nectar that will support them prior to the arrival of their carnivorous fleet. We are slowly getting back on our feet as well here at Joe Wasp. Some early calls are trickling in; nature is telling us that it's almost "go time." We are ready to take on our 7th year of business. 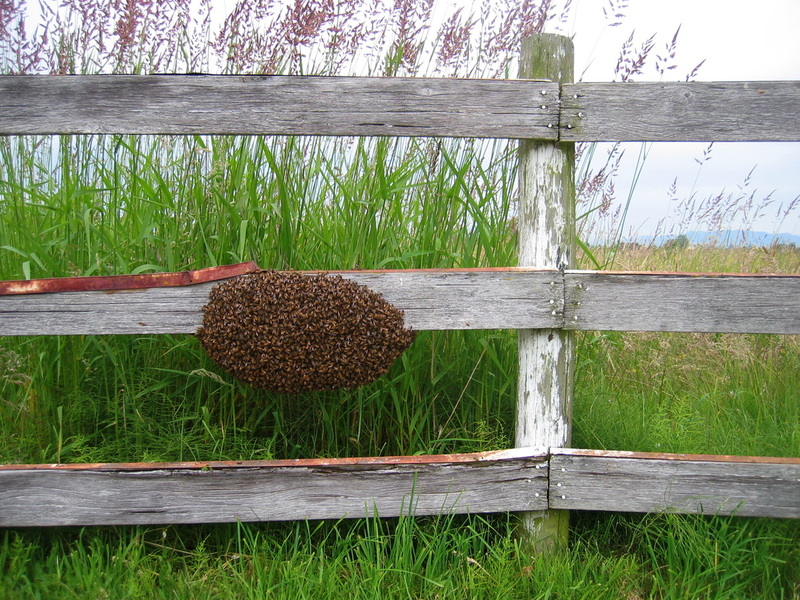 We are eagerly awaiting honeybee swarm season this year. 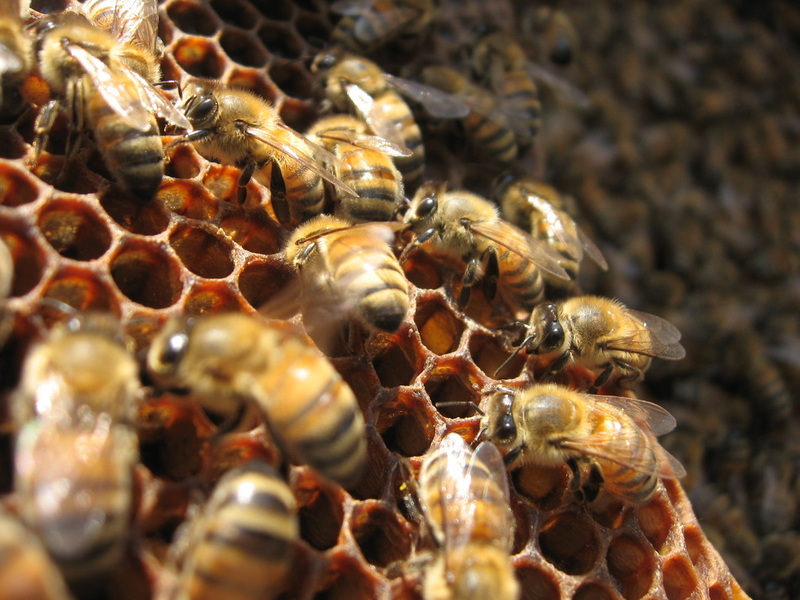 Typically that occurs in May and June, however, with the mild winter and this year's early indications of spring, I would not be surprised if honeybees begin to swarm in April. Many of you have filled out our swarm list entry forms over the winter, we have received them, and you will be contacted when we have colonies in need of homes. If you are hoping for a honeybee colony this year, please fill out our swarm list entry form on our swarm removal page. We have indeed received our earliest honeybee swarm removal call ever (photo below), and not by just a little bit. Our earliest swarm before today was on May 1st; we have never collected a swarm in April, let alone March. Today's swarm call comes over one month earlier in the season than we've ever seen. Hopefully this is a good thing for honeybees in the Pacific Northwest, unlike the tragedies that are unfolding to the south, with the great dying of sea lions, fish and birds due to the unseasonally high temperatures and low-rate of upwelling in the oceans. Honeybee nest removal in a Vancouver attic. Wasp stripes on a cedar fence. Bald-faced hornets claim a bird feeder. March 27th, 2015 honeybee swarm. Earliest swarm that we've ever seen. Honeybee swarm in Ladner BC. 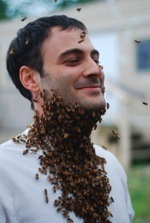 Joe with a bee beard. We are pleased to announce that Joe Wasp has recently joined forces with Westside Pest Control!